Liberty Christian School has been serving the Tri-Cities since 1980, offering an excellent academic curriculum, a competitive athletic program, fine arts, as well as many student activities. LCS serves nearly 400 students in grades K4-12 on a beautiful 19-acre campus in the heart of Richland. 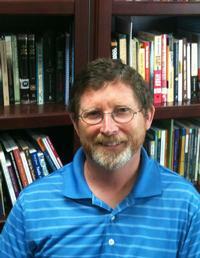 My name is Jim Cochran and I’m the Superintendent of Liberty Christian School. I was privileged to join the LCS community in July of 2014. My wife Stephanie and I raised four children in California, moving to the Northwest with our youngest who just graduated from LCS. One of the great distinctions of Liberty Christian School is seeing the core values visibly throughout the program. Grow…Character…Passion…Impact are seen in the classrooms and hallways, in student performances, on the athletic field, and at our many activities. We don’t just talk about faith, we live our faith and our students see it modeled and taught every day. It makes for a unique environment, where students are known and loved, and lifelong relationships are formed. We are proud of our teachers and staff! Research shows that effective teachers are the most important factor contributing to student achievement. Our teachers are not only knowledgeable in their fields of study, but they also have a deep-rooted faith in Jesus Christ. Their faith is visible and life changing; they embody the fruits of the Spirit and provide such a positive impact on our culture. We have a focus on God and on continuous improvement, growth and learning, that we might teach more effectively! It’s an honor and a privilege to serve as the Superintendent of LCS. I am passionate about our mission: To provide a Biblically-based education, marked by excellent academics, in a nurturing atmosphere. Students are encouraged to develop a personal relationship with Jesus Christ and live committed Christian lives. We are all about Preparing Global Ambassadors! Please take some time to explore our website to learn more about our school. If this is your first look at LCS, check out our enrollment page. I also encourage you to contact our Admissions Coordinator to schedule a tour- I know you will be impressed!